Hiking at Montana de Oro. After a horrible night of not much sleep thanks to a bunch of obnoxious college students who must have been too drunk to understand that, to most people, camping means peace and quiet, not a beer binged free-for-all, we embarked on a day hike. Our goal was Valencia Peak, but we first made a loop up Oats Peak Trail. 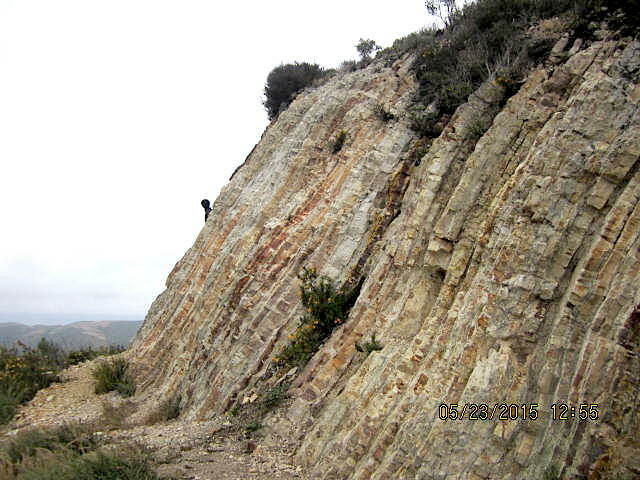 Valencia Peak is a coastal mountain located within Montana De Oro State Park. 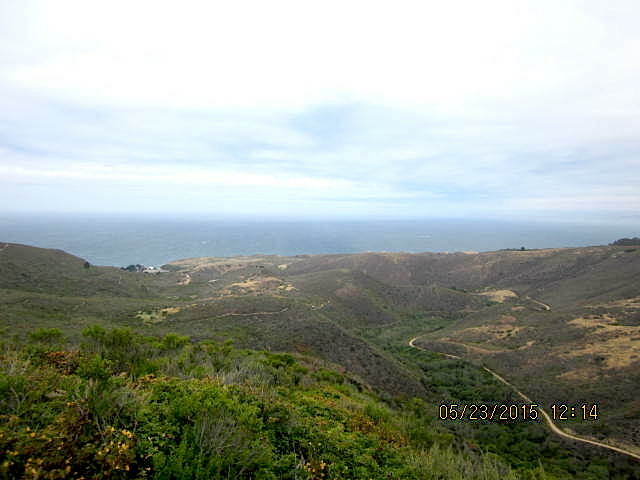 This trail offers gorgeous views of the Central Coast, great views of Morro Bay, Cayucos, and on clear days, you can see Cambria and beyond — with amazing views of Spooner’s Cove to the south. It’s an easy trail with gentle elevation gain; I didn’t even need the alpine walking sticks I packed. 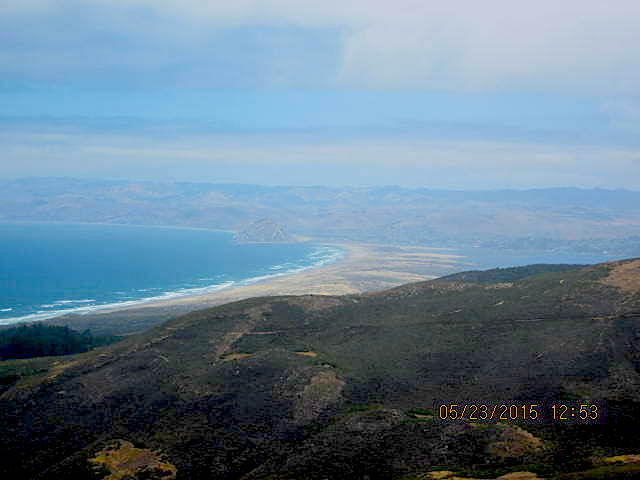 The spectacular views begin right away as you ascend up onto a saddle, and the rest of the hike is before your eyes. The trail gets a little harder the closer you get to the top. DIL and I stopped shy of the peak; my son wanted to run to the top and back, so we took a break, ate lunch, and admired the view of the ocean. There was cell service, so I called tugboat man to say hi and to let him know we are DEFINITELY going to spend a few days here when he returns. The views are beyond breathtaking. It feels like you’re on top of the world. 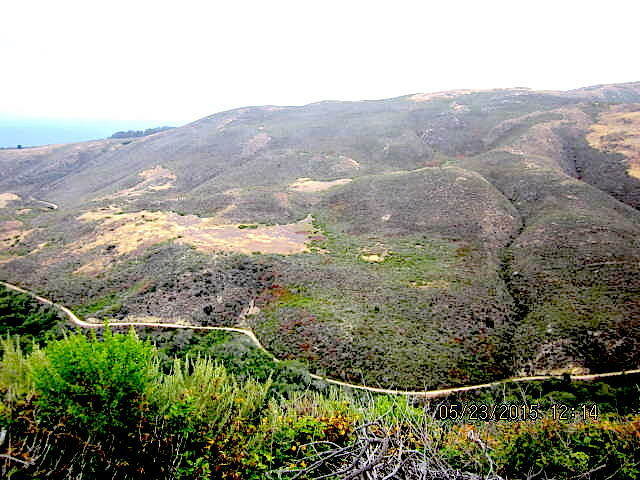 The hike down is much easier, but watch out for rattlesnakes. We saw a baby, whose venom is more potent than the adult rattlesnake. Ah-may-ZING Kind of a hazy day, but perfect hiking weather. My little goat boy. A narrow passage. View from the Visitor’s Center. 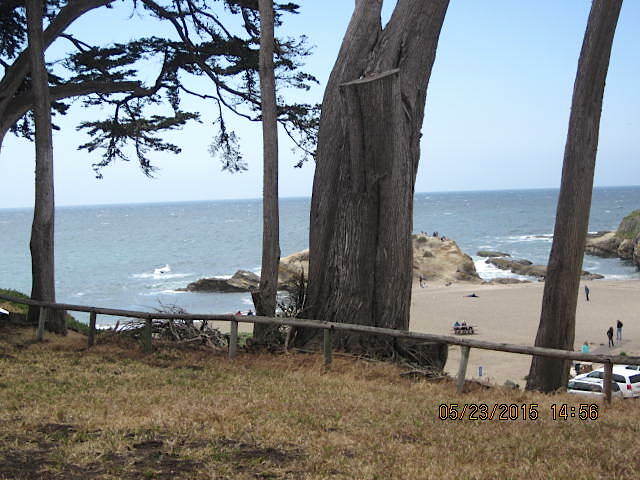 Part Four: Jade Cove, Julia Pfeiffer, Cambria, and Costanoa. This entry was posted in All Posts, Being a Mom and Grandma, Photography, Travel, Travel, Hiking, Adventure! and tagged Adventure, California Central Coast, Cambria, camping, Montana de Oro, Morro Bay, Oats Peak Trail, road trip, Spectacular views, Spooner's Cove, Travel, Travel, Hiking, Adventure!, vacation, Valencia Peak by Enchanted Seashells by Princess Rosebud. Bookmark the permalink. That’s no small stroll. That was a real hike and mountain scramble. The last time I did something like that I was a LOT younger … like in my thirties. I couldn’t even think about it now. I’m impressed. Glorious scenery and I’m so glad you had fun with your son. As they grow older, we seem to have less and less one-on-one time. A wonderful gift for both of you. Absolutely right. That’s one of the reasons why I work out at the gym so often, so I can tackle hiking (and rope climbing at Jade Cove) It was a lot of fun, less so for him as we drove through Big Sur as I was the worst back seat driver ever, but I’ll post about that too. He’s a very patient child lol. Looks like a nice hike but it looks like you got some real exercise there. I love the photos. They are both very fit; I had to keep up! Thank you. Love the pictures and that is quite a hike. Glad you got some quality time with your son. No snakes for me, though! No, the snake was scary. The fox and quail were cool, tho!